My youngest decided to bake her first cake, completely on her own. She jumped in with a tricky recipe, deciding to make an espresso chocolate chiffon cake. I didn't have high hopes for this beast turning out, but a wonderful friend and her daughter suggested the use of Pamela's Artisan blend flour for cake. 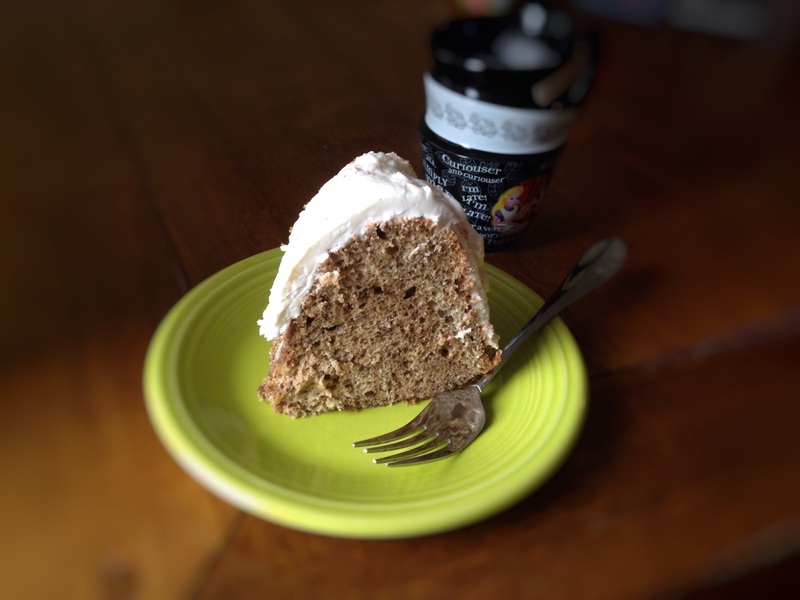 We sampled a cake our friend made with this flour blend, and it was among the best gluten free cakes I had tried. So, my daughter followed the standard Chiffon Cake recipe, only changing the flour 1:1 with Pamela's Artisan blend. The result? Perfection. This particular recipe utilizes folded in egg whites, similar to an angel food cake, the the texture was spot on. Spongy, moist, and delightful. Now that I am sold on this flour mix for the perfect gluten free dairy free cake, I will look froward to testing out some other recipes and comparing them with the new mix. Thanks to Shannon and Ariadne for pointing us in the right direction!